The first step is choosing the right spot. It should be a room in your home that's free of clutter. Remember to always study there to make it a habit. Of course, you should limit the distractions in your study space, so your attention won't be stripped away when you should be working. An important element to consider in your study space is the lighting, since studying in a dark room can strain your eyes. The furniture should also be taken into account: ensure that the chair you sit on is ergonomic and comfortable, and that the desk is the right size for you. Needless to say, if you want to study effectively, you will need your supplies nearby: your pencils, erasers, notebooks, books, calculator, and other items you may need should be ready to be used. 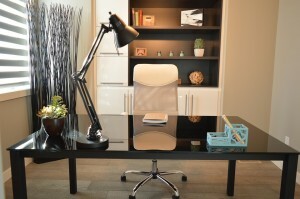 To ensure your study space is perfect for you, you should adapt it to your learning style. This, so you can guarantee successful learning experiences every time. Lastly, find the best time to study for you. If you're a night owl or an early bird, be sure to study at a time where your attention abilities and energy are at the right level for you to learn. If you require academic support to study effectively, enroll in tutoring in Bear DE. Call The Tutoring Center, Bear DE at 302-419-4824 to request a free consultation.